Mitch Gage (‘19), Clare Rolinger (‘21), and Trevor Haren (‘21) perform in African-American playwright Branden Jacobs-Jenkins's experimental play where he says that “Blackness” becomes an invisible, dramatic material by featuring an all-white cast. Luther’s visual and performing arts department put on Branden Jacobs-Jenkins’s play, “Appropriate,” directed by Assistant Professor of Theatre Robert Vrtis as their spring performance. The cast and director’s goal for the play was to raise campus-wide awareness about racism. The performances of this play took place on March 15 at 7:30 p.m., March 16 at 1:30 p.m. and 7:30 p.m., and March 17 at 1:30 p.m. in Jewel Theatre. 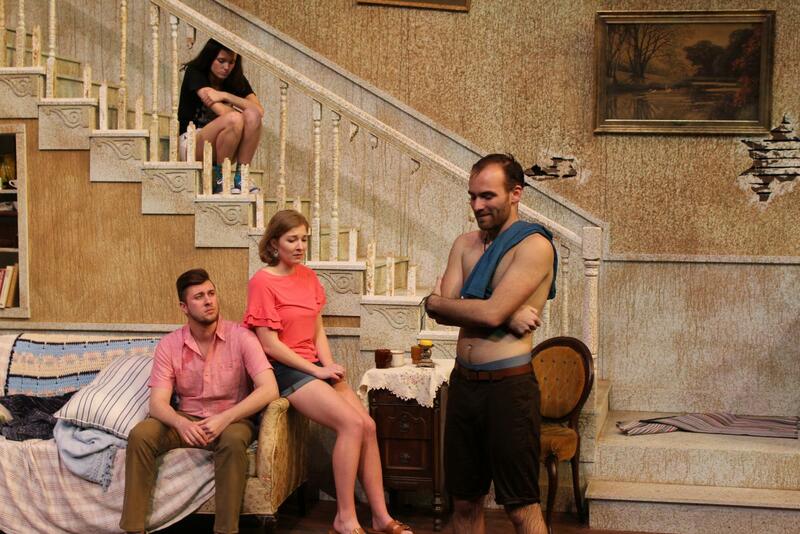 The play centers around three white American siblings who face a racist family history. Tasked with cleaning out their late father’s plantation home, the Lafayette family comes into contact with possessions, most significantly an album full of pictures of Black people being lynched, that unearth the racism they had unsuccessfully attempted to bury in the past. Amidst the family fighting and drama, clear signs of discrimination force the family members to grapple with their father’s racist ideologies. The implication of their fathers ownership of these belongings is that he condoned them. Assistant director Anna Becker (‘19) detailed the purpose of this play in the program’s director notes. According to Vrtis, this production is the VPA’s past-due response to the hate incidents that occurred on campus last year. 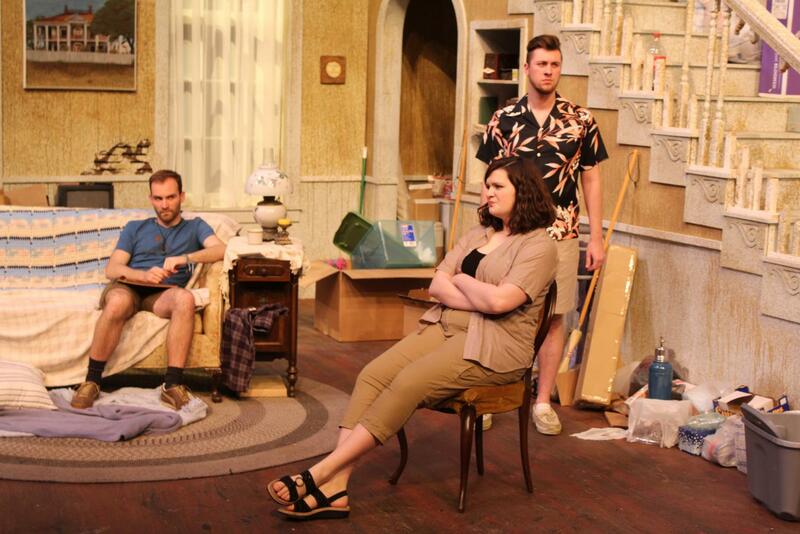 Branden Jacobs-Jenkins’s “Appropriate” centers around three estranged siblings, played by Mitch Gage (‘19), Mikaela Hanrahan (‘21), and Trevor Haren (‘21). The goal of this show was to set a platform for open conversation at Luther. The cast has been sharing and presenting research and documentaries to each other, in an effort to present accurate and moving performances. Clare Rolinger (‘22), who played the character of Rachel, admitted that she and the rest of the cast knew that this was not a play people would come away from smiling. However, she hoped that it would be worthwhile for these discomforting issues to be addressed through this medium at Luther. The premise of “Appropriate” as a play that discusses race while also using an all-white cast, initially felt uncomfortable to many Luther attendees. Jacobs-Jenkins, the African-American playwright himself, disagrees with this common critique. Regarding “Appropriate,” Jacobs-Jenkins had his own goals in mind, wondering how far he could separate “Blackness” into a material. Trevor Haren (‘21), who played the main character, Franz, feels that an all-white cast discussing race on stage is risky. This play was indeed both difficult to portray for the cast and difficult to experience for its audience. A range of reactions occurred after the performances, including devastation. In the program’s director notes, Becker asked audience members to reflect on how the themes from this play apply to their own context.